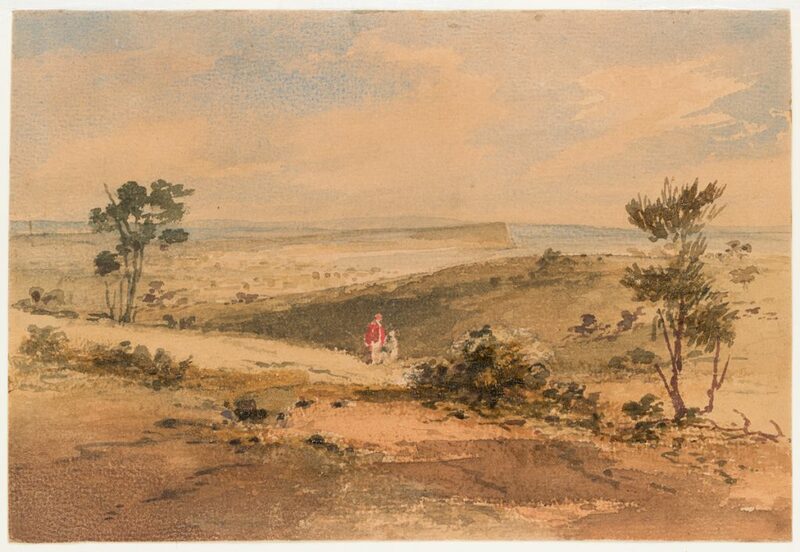 The Henty brothers Edward, Francis, Stephen and John have been credited with establishing Victoria’s first permanent European settlement in Portland, Western Victoria. While the brothers settled in Portland, they were joined progressively by new wives, all of whom were required to establish themselves in this unknown place. Much that is known of these women is tied to the happenings of domestic life, from the birth of children to their presence on the homestead. While their birth and death dates are often known, what do we know of what happened in between? In Part 1, we looked at what we know about Stephen Henty’s wife Jane, and Anna Maria and Edward Henty. Read on as we piece together the story of Mary Ann and Francis Henty, as well as John Henty and his wife Eliza. Francis Henty (1815 – 89) arrived at Portland Bay on board the Thistle at the age of nineteen, along with 83 rams, ewes and wethers. His father, Thomas Henty, was well known in England as a breeder of merino sheep. Informed of rich land to the north of Portland Bay, the Henty brothers set off to establish a new farm, which they named ‘Merino Downs’. Francis and Mary Ann Lawrence (c 1820 – 1881) married in 1842 at Launceston. Initially she was to reside in Portland, but this meant being away from Francis while he worked at ‘Merino Downs’. She chose to live at ‘Merino Downs’ with Francis, and the homestead established a reputation for its hospitality and management. Mary Ann had to adapt to a life of relative isolation, with infrequent visitors and time apart from her husband. They had four children and lived at the homestead for more than 30 years, before relocating to Melbourne in 1876. 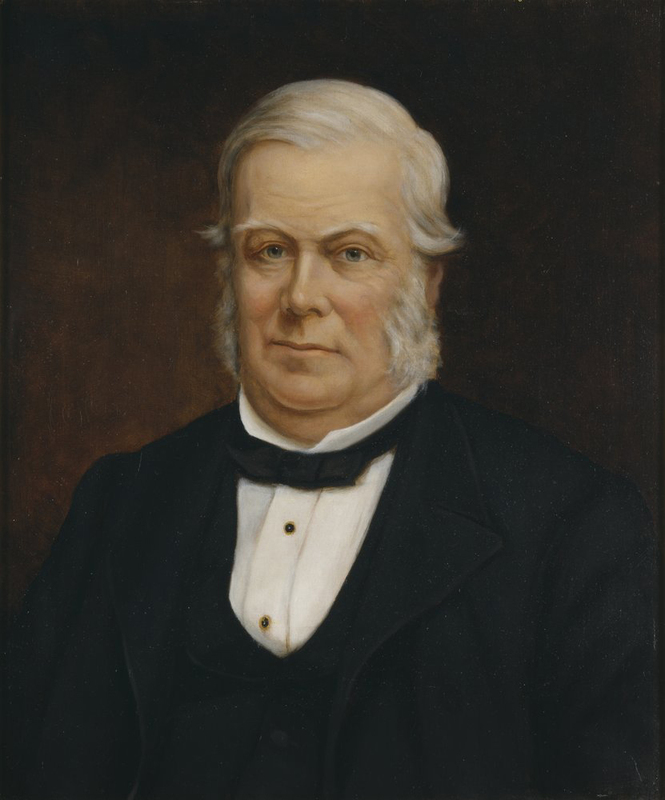 The youngest of the brothers, John Henty (1813 – c 1868), married Eliza Whitfield, daughter of Captain Francis Whitfield, in Van Diemen’s Land before moving to Portland in 1836. The family resided at ‘Merino Downs’ before John was removed from the family business in 1842. They settled on a 12,000 acre station called ‘Sandford’, however not much is known about John Henty, and even less about his wife Eliza. The settlement of the Henty families in Portland and its surrounding region is a significant chapter in Victoria’s European history. Although the known histories of these women are paired with the domestic happenings of family and the home, to acknowledge their presence in the then remote and isolated region puts their names in the narrative of Victoria’s first European settlement. 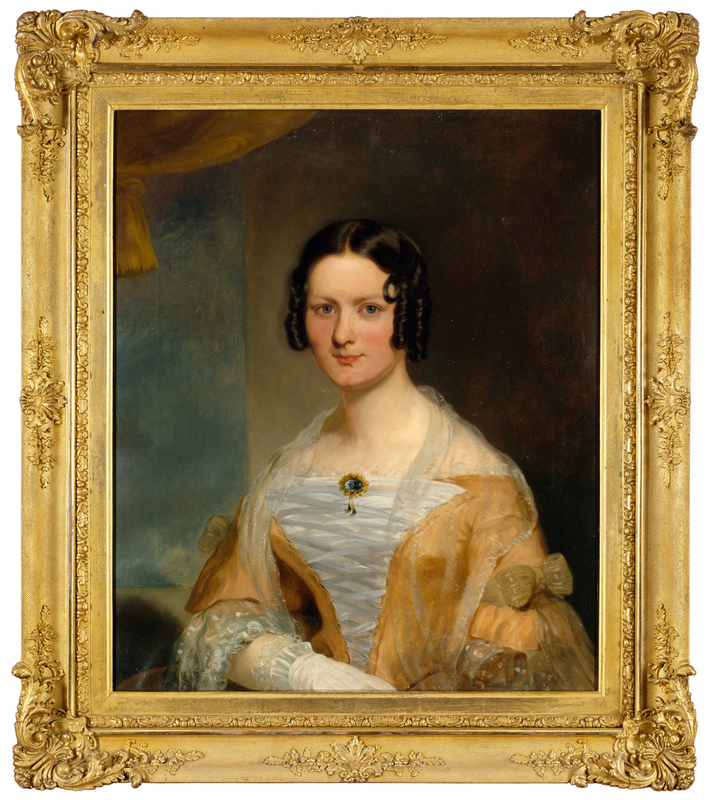 This post is a two-part series on the wives of the Henty brothers, whose stories featured in the Changing face of Victoria exhibition in 2018. Read Part 1. Kate is an Exhibitions Curator at State Library Victoria and works on the permanent exhibition Changing Face of Victoria. Incredibly resilient. I wonder what sort of assistance they had with childbirth. More info? Interesting read – and great to see some research and acknowledgement of the women! The Whitfield family was amongst the earliest settlers to the Swan River Colony. Captain Francis Whitfield was an Irishmen who arrived in WA on the brig “James” in 1830 with his wife Charlotte (nee Meares) and children Eliza, Anna, Francis, George, Charlotte, Edward, Jane and Thomas. The Whitfields took up land at Guildford and the Helena Valley, and Francis became District Magistrate for Guildford and was involved in exploration and the development of the new colony. Of his daughters, Eliza married John Henty and moved to Victoria, Anna (Maria) married Reverend Porter and moved to Adelaide, Charlotte married George F. Stone and had 10 children, Jane died aged 10. Ann Elizabeth Turner known as Nancy was the daughter of James Woodward Turner who arrived in the Swan River Colony in 1829. Nancy married Captain James McDermott on 1832 but he was drowned on the ‘Cumberland’ in 1834. In 1842 Nancy married Dr Alfred Green. From 19 November 2019 (the 185th anniversary of the arrival of Edward Henty in Portland Bay) Portland Arts Centre will be hosting an exhibition titled “Henty – a family collection” including photographs, costume (including Mary Ann Henty’s 1842 wedding dress), ephemera and personal items of Francis and Mary Ann Henty and their descendants the Hindsons. (Alice Henty, daughter of Francis and Mary Ann married John Hindson). This collection is on loan from a Henty descendant from Merino, who still lives on what was part of the original Merino Down station (Francis and Mary Ann Henty’s Home). The exhibition runs until 31 January 2020. Thank you so much Trevor.